Liczba stron: 383 Jest to ujednolicona liczba stron, która ułatwi Ci porównanie długości książek. Każda strona Legimi to 200 słów. This volume represents the high-water mark of the thought of Eliphas Levi. It may be regarded as written by him as his Thesis for the Grade of Exempt Adept, just as his "Ritual and Dogma" was his Thesis for the grade of a Major Adept. He is, in fact, no longer talking of things as if their sense was fixed and universal. He is beginning to see something of the contradiction inherent in the nature of things, or at any rate, he constantly illustrates the fact that the planes are to be kept separate for practical purposes, although in the final analysis they turn out to be one. This, and the extraordinarily subtle and delicate irony of which Eliphas Levi is one of the greatest masters that has ever lived, have baffled the pedantry and stupidity of such commentators as Waite. Article IV - Solution Of The Fourth Problem: Religion Proved By The Objections Which People Oppose To It. IN the biographical and critical essay which Mr. Waite prefixes to his "Mysteries of Magic" he says: "A word must be added of the method of this digest, which claims to be something more than translation and has been infinitely more laborious. I believe it to be in all respects faithful, and where it has been necessary or possible for it to be literal, there also it is invariably literal." We agree that it is either more or less than translation, and the following examples selected at hazard in the course of half-an-hour will enable the reader to judge whether Mr. Waite is acquainted with either French or English: "Gentilhomme" --- "Gentleman." "The nameless vice which was reproached "against" the Templars." "Certaines circonstances ridicules et un proces en escroquerie" --- "Certain ridiculous processes and a swindling lawsuit." "Se mele de dogmatiser" --- "Meddles with dogmatism." "La vie pour lui suffisait a l'expiation des plus grands crimes, puis qu'elle etait la consequence d'un arret de mort" --- "According to him life was sufficient for the greatest crimes, since "these" were the result of a death sentence." "Vos meilleurs amis ont du concevoir des inquietudes" --- "Your best friends have been reasonably anxious." (The mistranslation here turns the speech into an insult.) "Sacro-sainte" --- "Sacred and saintly." "Auriculaire" --- "Index." "N'avez vous pas obtenu tout ce que vous demandiez, et plus que vous ne demandiez, car vous ne m'aviez pas parle d'argent?" --- "Have you not had all and more than you wanted, and there has been no question of remuneration?" (This mistranslation makes nonsense of the whole passage.) "Eliphas n'etait pas a la question" --- "Eliphas was not under cross- examination. ""Mauvais plaisant" --- "Vicious jester." "Si vous n'aviez pas ... vous deviendriez" --- "If you have not ... you may become. "(This mistranslation turns a compliment into an insult.) "An awful and ineffaceable tableaux." "Peripeties" --- "Circumstances." "Il avait fait partie du clerge de Saint Germain l'Auxerrois" ---"He was of the Society of St. Germain l'Auxerrois." "Bruit de tempete" --- "Stormy sound." We are obliged to mention this matter, as Mr. Waite (by persistent self- assertion) has obtained the reputation of being trustworthy as an editor. On the contrary, he not only mutilates and distorts his authors, but, as demonstrated above, he is totally incapable of understanding their simplest phrases and even their commonest words. THIS volume represents the high-water mark of the thought of Eliphas Levi. It may be regarded as written by him as his Thesis for the Grade of Exempt Adept, just as his "Ritual and Dogma" was his Thesis for the grade of a Major Adept. He is, in fact, no longer talking of things as if their sense was fixed and universal. He is beginning to see something of the contradiction inherent in the nature of things, or at any rate, he constantly illustrates the fact that the planes are to be kept separate for practical purposes, although in the final analysis they turn out to be one. This, and the extraordinarily subtle and delicate irony of which Eliphas Levi is one of the greatest masters that has ever lived, have baffled the pedantry and stupidity of such commentators as Waite. English has hardly a word to express the mental condition of such unfortunates. "Dummheit," in its strongest German sense, is about the nearest thing to it. It is as if a geographer should criticize "Gulliver's Travels" from his own particular standpoint. When Levi says that all that he asserts as an initiate is subordinate to his humble submissiveness as a Christian, and then not only remarks that the Bible and the Qur'an are different translations of the same book, but treats the Incarnation as an allegory, it is evident that a good deal of submission will be required. When he agrees with St. Augustine that a thing is not just because God wills it, but God wills it because it is just, he sees perfectly well that he is reducing God to a poetic image reflected from his own moral ideal of justice, and no amount of alleged orthodoxy can weigh against that statement. His very defence of the Catholic Hierarchy is a masterpiece of that peculiar form of conscious sophistry which justifies itself by reducing its conclusion to zero. One must begin with "one," and that "one" has no particular qualities. Therefore, so long as you have an authority properly centralized it does not really matter what that authority is. In the Pope we have such an authority ready made, and it is the gravest tactical blunder to endeavour to set up an authority opposed to him. Success in doing so means war, and failure anarchy. This, however, did not prevent Levi from ceremonially casting a papal crown to the ground and crying "Death to tyranny and superstition!" in the bosom of a certain secret Areopagus of which he was the most famous member. When a man becomes a magician he looks about him for a magical weapon; and, being probably endowed with that human frailty called laziness, he hopes to find a weapon ready made. Thus we find the Christian Magus who imposed his power upon the world taking the existing worships and making a single system combining all their merits. There is no single feature in Christianity which has not been taken bodily from the worship of Isis, or of Mithras, or of Bacchus, or of Adonis, or of Osiris. In modern times again we find Frater Iehi Aour trying to handle Buddhism. Others again have attempted to use Freemasonry. There have been even exceptionally foolish magicians who have tried to use a sword long since rusted. Wagner illustrates this point very clearly in "Siegfried." The Great Sword Nothung has been broken, and it is the only weapon that can destroy the gods. The dwarf Mime tries uselessly to mend it. When Siegfried comes he makes no such error. He melts its fragments and forges a new sword. In spite of the intense labour which this costs, it is the best plan to adopt. Levi completely failed to capture Catholicism; and his hope of using Imperialism, his endeavour to persuade the Emperor that he was the chosen instrument of the Almighty, a belief which would have enabled him to play Maximus to little Napoleon's Julian, was shattered once for all at Sedan. It is necessary for the reader to gain this clear conception of Levi's inmost mind, if he is to reconcile the "contradictions" which leave Waite petulant and bewildered. It is the sad privilege of the higher order of mind to be able to see both sides of every question, and to appreciate the fact that both are equally tenable. Such contradictions can, of course, only be reconciled on a higher plane, and this method of harmonizing contradictions is, therefore, the best key to the higher planes. It seems unnecessary to add anything to these few remarks. This is the only difficulty in the whole book, though in one or two passages Levi's extraordinarily keen sense of humour leads him to indulge in a little harmless bombast. We may instance his remarks on the "Grimoire" of Honorius. We have said that this is the masterpiece of Levi. He reaches an exaltation of both thought and language which is equal to that of any other writer known to us. Once it is understood that it is purely a thesis for the Grade of Exempt Adept, the reader should have no further difficulty. ---A. C.
On the brink of mystery, the spirit of man is seized with giddiness. Mystery is the abyss which ceaselessly attracts our unquiet curiosity by the terror of its depth. The greatest mystery of the infinite is the existence of Him for whom alone all is without mystery. Comprehending the infinite which is essentially incomprehensible, He is Himself that infinite and eternally unfathomable mystery; that is to say, that He is, in all seeming, that supreme absurdity in which Tertullian believed. Necessarily absurd, since reason must renounce for ever the project of attaining to Him; necessarily credible, since science and reason, far from demonstrating that He does not exist, are dragged by the chariot of fatality to believe that He does exist, and to adore Him themselves with closed eyes. Why? --- Because this Absurd is the infinite source of reason. The light springs eternally from the eternal shadows. Science, that Babel Tower of the spirit, may twist and coil its spirals ever ascending as it will; it may make the earth tremble, it will never touch the sky. God is He whom we shall eternally learn to know better, and, consequently, He whom we shall never know entirely. The realm of mystery is, then, a field open to the conquests of the intelligence. March there as boldly as you will, never will you diminish its extent; you will only alter its horizons. To know all is an impossible dream; but woe unto him who dares not to learn all, and who does not know that, in order to know anything, one must learn eternally! They say that in order to learn anything well, one must forget it several times. The world has followed this method. Everything which is to-day debateable had been solved by the ancients. Before our annals began, their solutions, written in hieroglyphs, had already no longer any meaning for us. A man has rediscovered their key; he has opened the cemeteries of ancient science, and he gives to his century a whole world of forgotten theorems, of syntheses as simple and sublime as nature, radiating always from unity, and multiplying themselves like numbers with proportions so exact, that the known demonstrates and reveals the unknown. To understand this science, is to see God. The author of this book, as he finishes his work, will think that he has demonstrated it. Then, when you have seen God, the hierophant will say to you: --- "Turn round!" and, in the shadow which you throw in the presence of this sun of intelligences, there will appear to you the devil, that black phantom which you see when your gaze is not fixed upon God, and when you think that your shadow fills the sky, --- for the vapours of the earth, the higher they go, seem to magnify it more and more. To harmonize in the category of religion science with revelation and reason with faith, to demonstrate in philosophy the absolute principles which reconcile all the antinomies, and finally to reveal the universal equilibrium of natural forces, is the triple object of this work, which will consequently be divided into three parts. We shall exhibit true religion with such characters, that no one, believer or unbeliever, can fail to recognize it; that will be the absolute in religion. We shall establish in philosophy the immutable characters of that Truth, which is in science, "reality;" in judgment, "reason;" and in ethics, "justice." Finally, we shall acquaint you with the laws of Nature, whose equilibrium is stability, and we shall show how vain are the phantasies of our imagination before the fertile realities of movement and of life. We shall also invite the great poets of the future to create once more the divine comedy, no longer according to the dreams of man, but according to the mathematics of God. Mysteries of other worlds, hidden forces, strange revelations, mysterious illnesses, exceptional faculties, spirits, apparitions, magical paradoxes, hermetic arcana, we shall say all, and we shall explain all. Who has given us this power? We do not fear to reveal it to our readers. There exists an occult and sacred alphabet which the Hebrews attribute to Enoch, the Egyptians to Thoth or to Hermes Trismegistus, the Greeks to Cadmus and to Palamedes. This alphabet was known to the followers of Pythagoras, and is composed of absolute ideas attached to signs and numbers; by its combinations, it realizes the mathematics of thought. Solomon represented this alphabet by seventy-two names, written upon thirty-six talismans. 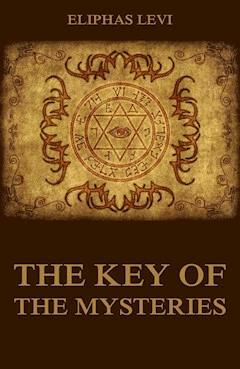 Eastern initiates still call these the "little keys" or clavicles of Solomon. These keys are described, and their use explained, in a book the source of whose traditional dogma is the patriarch Abraham. This book is called the Sepher Yetzirah; with the aid of the Sepher Yetzirah one can penetrate the hidden sense of the Zohar, the great dogmatic treatise of the Qabalah of the Hebrews. The Clavicles of Solomon, forgotten in the course of time, and supposed lost, have been rediscovered by ourselves; without trouble we have opened all the doors of those old sanctuaries where absolute truth seemed to sleep, --- always young, and always beautiful, like that princess of the childish legend, who, during a century of slumber, awaits the bridegroom whose mission it is to awaken her. After our book, there will still be mysteries, but higher and farther in the infinite depths. This publication is a light or a folly, a mystification or a monument. Read, reflect, and judge. I. --- To demonstrate in a certain and absolute manner the existence of God, and to give an idea of Him which will satisfy all minds. II. --- To establish the existence of a true religion in such a way as to render it incontestable. III. --- To indicate the bearing and the "raison d'etre" of all the mysteries of the one true and universal religion. IV. --- To turn the objections of philosophy into arguments favourable to true religion. V.--- To draw the boundary between religion and superstition, and to give the reason of miracles and prodigies. WHEN Count Joseph de Maistre, that grand and passionate lover of Logic, said despairingly, "The world is without religion," he resembled those people who say rashly "There is no God." The world, in truth, is without the religion of Count Joseph de Maistre, as it is probable that such a God as the majority of atheists conceive does not exist. Religion is an idea based upon one constant and universal fact; man is a religious animal. The word "religion" has then a necessary and absolute sense. Nature herself sanctifies the idea which this word represents, and exalts it to the height of a principle. The need of believing is closely linked with the need of loving; for that reason our souls need communion in the same hopes and in the same love. Isolated beliefs are only doubts: it is the bond of mutual confidence which, by creating faith, composes religion. Faith does not invent itself, does not impose itself, does not establish itself by any political agreement; like life, it manifests itself with a sort of fatality. The same power which directs the phenomena of nature, extends and limits the supernatural domain of faith, despite all human foresight. One does not imagine revelations; one undergoes then, and one believes in them. In vain does the spirit protest against the obscurities of dogma; it is subjugated by the attraction of these very obscurities, and often the least docile of reasoners would blush to accept the title of "irreligious man." Religion holds a greater place among the realities of life than those who do without religion --- or pretend to do without it --- affect to believe. All ideas that raise man above the animal --- moral love, devotion, honour --- are sentiments essentially religious. The cult of the fatherland and of the family, fidelity to an oath and to memory, are things which humanity will never abjure without degrading itself utterly, and which could never exist without the belief in something greater than mortal life, with all its vicissitudes, its ignorance and its misery. If annihilation were the result of all our aspirations to those sublime things which we feel to be eternal, our only duties would be the enjoyment of the present, forgetfulness of the past, and carelessness about the future, and it would be rigorously true to say, as a celebrated sophist once said, that the man who thinks is a degraded animal. Moreover, of all human passions, religious passion is the most powerful and the most lively. It generates itself, whether by affirmation or negation, with an equal fanaticism, some obstinately affirming the god that they have made in their own image, the others denying God with rashness, as if they had been able to understand and to lay waste by a single thought all that world of infinity which pertains to His great name. Philosophers have not sufficiently considered the physiological fact of religion in humanity, for in truth religion exists apart from all dogmatic discussion. It is a faculty of the human soul just as much as intelligence and love. While man exists, so will religion. Considered in this light, it is nothing but the need of an infinite idealism, a need which justifies every aspiration for progress, which inspires every devotion, which alone prevents virtue and honour from being mere words, serving to exploit the vanity of the weak and the foolish to the profit of the strong and the clever. It is to this innate need of belief that one might justly give the name of natural religion; and all which tends to clip the wings of these beliefs is, on the religious plane, in opposition to nature. The essence of the object of religion is mystery, since faith begins with the unknown, abandoning the rest to the investigations of science. Doubt is, moreover, the mortal enemy of faith; faith feels that the intervention of the divine being is necessary to fill the abyss which separates the finite from the infinite, and it affirms this intervention with all the warmth of its heart, with all the docility of its intelligence. If separated from this act of faith, the need of religion finds no satisfaction, and turns to scepticism and to despair. But in order that the act of faith should not be an act of folly, reason wishes it to be directed and ruled. By what? By science? We have seen that science can do nothing here. By the civil authority? It is absurd. Are our prayers to be superintended by policemen? There remains, then, moral authority, which alone is able to constitute dogma and establish the discipline of worship, in concert this time with the civil authority, but not in obedience to its orders. It is necessary, in a word, that faith should give to the religious need a real satisfaction, --- a satisfaction entire, permanent and indubitable. To obtain that, it is necessary to have the absolute and invariable affirmation of a dogma preserved by an authorized hierarchy. It is necessary to have an efficacious cult, giving, with an absolute faith, a substantial realization of the symbols of belief. Religion thus understood being the only one which can satisfy the natural need of religion, it must be the only really natural religion. We arrive, without help from others, at this double definition, that true natural religion is revealed religion. The true revealed religion is the hierarchical and traditional religion, which affirms itself absolutely, above human discussion, by communion in faith, hope, and charity. Representing the moral authority, and realizing it by the efficacy of its ministry, the priesthood is as holy and infallible as humanity is subject to vice and to error. The priest, "qua" priest, is always the representative of God. Of little account are the faults or even the crimes of man. When Alexander VI consecrated his bishops, it was not the poisoner who laid his hands upon them, it was the pope. Pope Alexander VI never corrupted or falsified the dogmas which condemned him, or the sacraments which in his hands saved others, and did not justify him. At all times and in all places there have been liars and criminals, but in the hierarchical and divinely authorized Church there have never been, and there will never be, either bad popes or bad priests. "Bad" and "priest" form an oxymoron. We have mentioned Alexander VI, and we think that this name will be sufficient without other memories as justly execrated as his being brought up against us. Great criminals have been able to dishonour themselves doubly because of the sacred character with which they were invested, but they had not the power to dishonour that character, which remains always radiant and splendid above fallen humanity.<> We have said that there is no religion without mysteries; let us add that there are no mysteries without symbols. The symbol, being the formula or the expression of the mystery, only expresses its unknown depth by paradoxical images borrowed from the known. The symbolic form, having for its object to characterize what is above scientific reason, should necessarily find itself without that reason: hence the celebrated and perfectly just remark of a Father of the Church: "I believe because it is absurd. Credo quia absurdum." If science were to affirm what it did not know, it would destroy itself. Science will then never be able to perform the work of faith, any more than faith can decide in a matter of science. An affirmation of faith with which science is rash enough to meddle can then be nothing but an absurdity for it, just as a scientific statement, if given us as an article of faith, would be an absurdity on the religious plane. To know and to believe are two terms which can never be confounded. It would be equally impossible to oppose the one to the other. It is impossible, in fact, to believe the contrary of what one knows without ceasing, for that very reason, to know it; and it is equally impossible to achieve a knowledge contrary to what one believes without ceasing immediately to believe. To deny or even to contest the decisions of faith in the name of science is to prove that one understands neither science nor faith: in fine, the mystery of a God of three persons is not a problem of mathematics; the incarnation of the Word is not a phenomenon in obstetrics; the scheme of redemption stands apart from the criticism of the historian. Science is absolutely powerless to decide whether we are right or wrong in believing or disbelieving dogma; it can only observe the results of belief, and if faith evidently improves men, if, moreover, faith is in itself, considered as a physiological fact, evidently a necessity and a force, science will certainly be obliged to admit it, and take the wise part of always reckoning with it. Let us now dare to affirm that there exists an immense fact equally appreciable both by faith and science; a fact which makes God visible (in a sense) upon earth; a fact incontestable and of universal bearing; this fact is the manifestation in the world, beginning from the epoch when the Christian revelation was made, of a spirit unknown to the ancients, of a spirit evidently divine, more positive than science in its works, in its aspirations, more magnificently ideal than the highest poetry, a spirit for which it was necessary to create a new name, a name altogether unheard<> in the sanctuaries of antiquity. This name was created, and we shall demonstrate that this name, this word, is, in religion, as much for science as for faith, the expression of the absolute. The word is CHARITY, and the spirit of which we speak is the "spirit of charity." Before charity, faith prostrates itself, and conquered science bows. There is here evidently something greater than humanity; charity proves by its works that it is not a dream. It is stronger than all the passions; it triumphs over suffering and over death; it makes God understood by every heart, and seems already to fill eternity by the begun realization of its legitimate hopes. Before charity alive and in action who is the Proudhon who dares blaspheme? Who is the Voltaire who dares laugh? Pile one upon the other the sophisms of Diderot, the critical arguments of Strauss, the "Ruins" of Volney, so well named, for this man could make nothing but "ruins," the blasphemies of the revolution whose voice was extinguished once in blood, and once again in the silence of contempt; join to it all that the future may hold for us of monstrosities and of vain dreams; then will there come the humblest and the simplest of all sisters of charity, --- the world will leave there all its follies, and all its crimes, and all its dreams, to bow before this sublime reality. Charity! word divine, sole word which makes God understood, word which contains a universal revelation! "Spirit" of "charity," alliance of two words, which are a complete solution and a complete promise! To what question, in fine, do these two words not find an answer? What is God for us, if not the spirit of charity? What is orthodoxy? Is it not the spirit of charity which refuses to discuss faith lest it should trouble the confidence of simple souls, and disturb the peace of universal communion?<> And the universal church, is it any other thing than a communion in the spirit of charity? It is by the spirit of charity that the church is infallible. It is the spirit of charity which is the divine virtue of the priesthood. Duty of man, guarantee of his rights, proof of his immortality, eternity of happiness commencing for him upon the earth, glorious aim given to his existence, goal and path of all his struggles, perfection of his individual, civil and religious morality, the spirit of charity understands all, and is able to hope all, undertake all, and accomplish all. It is by the spirit of charity that Jesus expiring on the cross gave a son to His mother in the person of St. John, and, triumphing over the anguish of the most frightful torture, gave a cry of deliverance and of salvation, saying, "Father, into Thy hands I commend my spirit!" It is by charity that twelve Galilean artisans conquered the world; they loved truth more than life, and they went without followers to speak it to peoples and to kings; tested by torture, they were found faithful. They showed to the multitude a living immortality in their death, and they watered the earth with a blood whose heat could not be extinguished, because they were burning with the ardours of charity. It is by charity that the Apostles built up their Creed. They said that to believe together was worth more than to doubt separately; they constituted the hierarchy on the basis of obedience --- rendered so noble and so great by the spirit of charity, that to serve in this manner is to reign; they formulated the faith of all and the hope of all, and they put this Creed in the keeping of the charity of all. Woe to the egoist who appropriates to himself a single word of this inheritance of the Word; he is a deicide, who wishes to dismember the body of the Lord. This creed is the holy ark of charity; whoso touches it is stricken by eternal death, for charity withdraws itself from him. It is the sacred inheritance of our children, it is the price of the blood of our fathers! It is by charity that the martyrs took consolation in the prisons of the Caesars, and won over to their belief even their warders and their executioners. It is in the name of charity that St. Martin of Tours protested against the torture of the Priscillians,<> and separated himself from the communion of the tyrant who wished to impose faith by the sword. It is by charity that so great a crowd of saints have forced the world to accept them as expiation for the crimes committed in the name of religion itself, and the scandals of the profaned sanctuary. It is by charity that St. Vincent de Paul and Fenelon compelled the admiration of even the most impious centuries, and quelled in advance the laughter of the children of Voltaire before the imposing dignity of their virtues. 10} It is by charity, finally, that the folly of the cross has become the wisdom of the nations, because every noble heart has understood that it is greater to believe with those who love, and who devote themselves, than to doubt with the egotists and with the slaves of pleasure. GOD can only be defined by faith; science can neither deny nor affirm that He exists. God is the absolute object of human faith. In the infinite, He is the supreme and creative intelligence of order. In the world, He is the spirit of charity. Is the Universal Being a fatal machine which eternally grinds down intelligences by chance, or a providential intelligence which directs forces in order to ameliorate minds? The first hypothesis is repugnant to reason; it is pessimistic and immoral. Science and reason ought then to accept the second. Yes, Proudhon, God is an hypothesis, but an hypothesis so necessary, that without it, all theorems become absurd or doubtful. For initiates of the Qabalah, God is the absolute unity which creates and animates numbers. The unity of the human intelligence demonstrates the unity of God. The key of numbers is that of creeds, because signs are analogical figures of the harmony which proceeds from numbers. Mathematics could never demonstrate blind fatality, because they are the expression of the exactitude which is the character of the highest reason. Unity demonstrates the analogy of contraries; it is the foundation, the equilibrium, and the end of numbers. The act of faith starts from unity, and returns to unity. We shall now sketch out an explanation of the Bible by the aid of numbers, for the Bible is the book of the images of God. We shall ask numbers to give us the reason of the dogmas of eternal religion; numbers will always reply by reuniting themselves in the synthesis of unity. The following pages are simply outlines of qabalistic hypotheses; they stand apart from faith, and we indicate them only as curiosities of research. It is no part of our task to make innovations in dogma, and what we assert in our character as an initiate is entirely subordinate to our submission in our character as a Christian. UNITY is the principle and the synthesis of numbers; it is the idea of God and of man; it is the alliance of reason and of faith. Faith cannot be opposed to reason; it is made necessary by love, it is identical with hope. To love is to believe and hope; and this triple outburst of the soul is called virtue, because, in order to make it, courage is necessary. But would there be any courage in that, if doubt were not possible? Now, to be able to doubt, is to doubt. Doubt is the force which balances faith, and it constitutes the whole merit of faith. Nature herself induces us to believe; but the formulae of faith are social expressions of the tendencies of faith at a given epoch. It is that which proves the Church to be infallible, evidentially and in fact. God is necessarily the most unknown of all beings because He is only defined by negative experience; He is all that we are not, He is the infinite opposed to the finite by hypothesis. Faith, and consequently hope and love, are so free that man, far from being able to impose them on others, does not even impose them on himself. "These," says religion, "are graces." Now, is it conceivable that grace should be subject to demand or exaction; that is to say, could any one wish to force men to a thing which comes freely and without price from heaven? One must not do more than desire it for them. To reason concerning faith is to think irrationally, since the object of faith is outside the universe of reason. If one asks me: --- "Is there a God?" I reply, "I believe it." "But are you sure of it?" --- "If I were sure of it, I should not believe it, I should know it." The formulation of faith is to agree upon the terms of the common hypothesis. Faith begins where science ends. To enlarge the scope of science is apparently to diminish that of faith; but in reality, it is to enlarge it in equal proportion, for it is to amplify its base. One can only define the unknown by its supposed and supposable relations with the known. Analogy was the sole dogma of the ancient magi. This dogma may indeed be called "mediator," for it is half scientific, half hypothetical; half reason, and half poetry. This dogma has been, and will always be, the father of all others. What is the Man-God? He who realizes, in the most human life, the most divine ideal. Faith is a divination of intelligence and of love, when these are directed by the pointings of nature and of reason. It is then of the essence of the things of faith to be inaccessible to science, doubtful for philosophy, and undefined for certainty. Faith is an hypothetical realization and a conventional determination of the last aims of hope. It is the attachment to the visible sign of the things which one does not see. "Faith is the substance of things hoped for, the evidence of things not seen." To affirm without folly that God is or that He is not, one must begin with a reasonable or unreasonable definition of God. Now, this definition, in order to be reasonable, must be hypothetical, analogical, and the negation of the known finite. It is possible to deny a particular God, but the absolute God can no more be denied than He can be proved; He is a reasonable supposition in whom one believes. "Blessed are the pure in heart, for they shall see God," said the Master; to see with the heart is to believe; and if this faith is attached to the true good, it can never be deceived, provided that it does not seek to define too much in accordance with the dangerous inductions which spring from personal ignorance. Our judgments in questions of faith apply to ourselves; it will be done to us as we have believed; that is to say, we create ourselves in the image of our ideal. "Those who make their gods become like unto them," says the psalmist, "and all they that put their trust in them." The divine ideal of the ancient world made the civilization which came to an end, and one must not despair of seeing the god of our barbarous fathers become the devil of our more enlightened children. One makes devils with cast-off gods,<> and Satan is only so incoherent and so formless because he is made up of all the rags of ancient theogonies. He is the sphinx without a secret, the riddle without an answer, the mystery without truth, the absolute without reality and without light. Man is the son of God because God, manifested, realized, and incarnated upon earth, called Himself the Son of man. It is after having made God in the image of His intelligence and of His love, that humanity has understood the sublime Word who said "Let there be light!" Man is the form of the divine thought, and God is the idealized synthesis of human thought. Thus the Word of God reveals man, and the Word of man reveals God. Man is the God of the world, and God is the man of heaven. Before saying "God wills," man has willed. In order to understand and honour Almighty God, man must first be free. Had he obeyed and abstained from the fruit of the tree of knowledge through fear, man would have been innocent and stupid as the lamb, sceptical and rebellious as the angel of light. He himself cut the umbilical cord of his simplicity, and, falling free upon the earth, dragged God with him in his fall. And therefore, from this sublime fall, he rises again glorious, with the great convict of Calvary, and enters with Him into the kingdom of heaven. For the kingdom of heaven belongs to intelligence and love, both children of liberty. God has shown liberty to man in the image of a lovely woman, and in order to test his courage, He made the phantom of death pass between her and him. Man loved, and felt himself to be God; he gave for her what God had just bestowed upon him --- eternal hope. He leapt towards his bride across the shadow of death. Man possessed liberty; he had embraced life. Expiate now thy glory, O Prometheus! Thy heart, ceaselessly devoured, cannot die; it is thy vulture, it is Jupiter, who will die! One day we shall awake at last from the painful dreams of a tormented life; our ordeal will be finished, and we shall be sufficiently strong against sorrow to be immortal. Then we shall live in God with a more abundant life, and we shall descend into His works with the light of His thought, we shall be borne away into the infinite by the whisper of His love. We shall be without doubt the elder brethren of a new race, the angels of posterity. Celestial messengers, we shall wander in immensity, and the stars will be our gleaming ships. We shall transform ourselves into sweet visions to calm weeping eyes; we shall gather radiant lilies in unknown meadows, and we shall scatter their dew upon the earth. We shall touch the eyelid of the sleeping child, and rejoice the heart of its mother with the spectacle of the beauty of her well-beloved son! first days of man in the earthly paradise, has been only an aspiration and a widowhood. We wait for the worship of the bride and of the mother; we shall aspire to the wedding of the New Covenant. Then the poor, the blind, the outlaws of the old world will be invited to the feast, and will receive a wedding garment. They will gaze the one upon the other with inexpressible tenderness and a smile that is ineffable because they have wept so long.